Explore Gregg Engineering's comprehensive software offerings. Gregg Engineering offers a wide variety of software solutions designed to help meet all of your pipeline simulation needs. NextGen® is the industry’s most advanced application for creating hydraulic simulation models of natural gas pipeline networks. It allows the user to dynamically run simulations of their systems in order to calculate pressures, flow rates, and other operational parameters. Creating and running simulations is essential for both designing and operating pipelines, and once the model is built, it can be controlled in the same manner as a real world pipeline. Comprehensive pipeline modeling delivers added benefits. 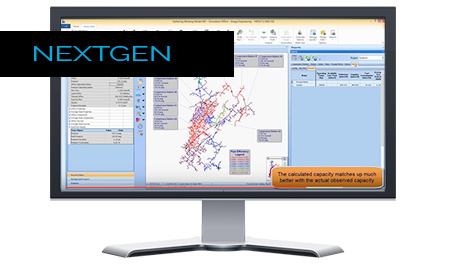 We have designed NextGen® using the most advanced technology in order to perform thousands of calculations with unparalleled speed. This one software integrates Steady State, Sequential Steady State and various types of Transient analysis, such as Transient Predictive, Transient Online, and Transient Look Ahead into one application. WinFlow is a Steady State hydraulic simulation application for the Gathering, Transmission and Distribution industries which can quickly and accurately calculate every operational parameter of simple to complex liquid, steam and natural gas pipeline networks by allowing the user to dynamically run simulations of their systems. WinFlow is a powerful tool that can be used as a highly reliable guideline to achieve optimal efficiency while realizing the highest rate of profitability. WinTran is a Transient Analysis application which allows a user to look at how their Gathering, Transmission or Distribution pipeline system will perform under varying conditions in order to determine the likely state of the pipeline over time as it reacts to differing variables such as pressure and compressors, gas composition, heating valves, etc. Such predictions can be effectively used to guide decisions regarding the design and operation of the real pipeline to safely, accurately and economically operate the system, increase team productivity and maximize overall profitability. FlowDesk can substantially decrease the amount of time engineers spend making simulation runs by use of effective automation, reduce fuel costs through operational optimization, and identify pockets of unused capacity in a pipeline system. With FlowDesk, lengthy interactions can be scripted to launch automatically with the simulation run to calculate the most optimal compressor station fuel usage and identify unused capacities in the line. 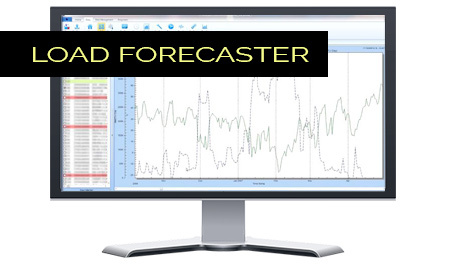 Load Forecaster is an application that gives gas utility, LDCs and pipeline company operators the ability to forecast potential demands on their pipeline systems based on historical consumption and data such as weather, day of the week,holidays, or essentially any type of statistical information. The ability to anticipate peak load requirements will not only allow you to make more informed supply purchases and operational decisions, but also schedule maintenance or expansion projects when they will have the lowest impact on profitability.